This is part of a series of weekly posts with the most interesting content from the Open Borders Action Group on Facebook. Do join the group to weigh in on existing discussions or start your own (you might want to read this post before joining). Post by Vipul Naik, August 29, 2014, linking to This Is What Gentrification Really Is by Annalee Newitz, io9, August 20, 2014. 2 likes, 1 comment. Photo post by John Lee, August 28, 2014, quoting Andrew Napolitano’s thoughts on migration. 6 likes, 1 comment. Post by Immanuel Guilea, August 26, 2014, linking to and quoting from If People Could Immigrate Anywhere, Would Poverty Be Eliminated? by Shaun Raviv, The Atlantic, April 26, 2013. 11 likes. Post by Grieve Chelwa, August 26, 2014, linking to Let Everyone Into America by Jacob Appel, Big Think, August 31, 2010. 8 likes, 3 comments. 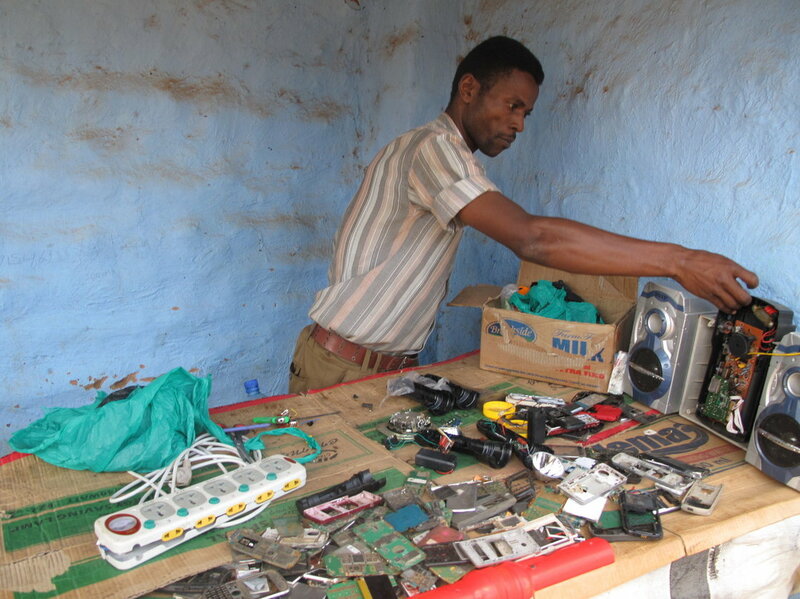 Post by Grieve Chelwa, August 26, 2014, linking to Migration’s Inevitability and Labor Mobility (podcast with Michael Clemens) by Lawrence MacDonald, Center for Global Development, May 22, 2014. 4 likes. Post by Grieve Chelwa, August 26, 2014, linking to The Post-2015 Development Goals Need to Address Migration—And It Looks Like They Just Might by Michael Clemens, Center for Global Development, August 25, 2014. 4 likes. Post by John Lee, August 25, 2014, linking to Guest post: What an Enlightened Immigration Policy Would Look Like by Nathan Smith on the Market Monetarist blog, August 26, 2014. 5 likes. Post by John Lee, August 30, 2014, linking to The American Dream, undocumented by Suzy Khimm, MSNBC, August 28, 2014. 2 likes, 3 comments. Post by Vipul Naik, August 30, 2014, asking for what keyhole solutions might have stopped the closing of the US border in the 1920s. 2 likes, 4 comments. Post by Ryan P. Long, August 29, 2014, linking to Government plans new laws to confiscate passports of potential terrorists and stop them travelling to and from Britain by Nigel Morris, The Telegraph, August 29, 2014. 1 like. Post by Ryan P. Long, August 28, 2014, linking to Triathlete John van Wisse mistaken for illegal immigrant at English Channel swim. UK border patrol stops Australian in his tracks during ambitious ultra-triathlon bid from London to Paris, Australian Associated Press (appeared in The Guardian), August 27, 2014. 4 likes. Post by Carl Shulman, August 27, 2014, linking to Where the European brains go, alpbach.org. 8 likes. Post by Ryan P. Long, August 27, 2014, linking to Central American Migrants Hiding In Jungle As Mexican Officials Patrolling ‘The Beast’, Fox News Latino, August 27, 2014. 5 likes. Post by Michelangelo Landgrave, August 26, 2014, linking to Jerry Brown: Immigrants, citizen or not, ‘welcome in California’ by Chris Megerian, Los Angeles Times, August 26, 2014. 7 likes. Post by Carl Shulman, August 25, 2014, linking to Learning from Founding-era translations of the U.S. Constitution by Will Baude, Volokh Conspiracy (Washington Post), August 25, 2014. Post by Nathan Smith, August 18, 2014, about what he’d like people to take away from his draft paper on the global economic impact of open borders. 2 likes, 5 comments. Post by John Lee, August 18, 2014, linking to Misallocation, Establishment Size, and Productivity by Pedro Bento and Diego Restuccia, July 25, 2014. 2 likes, 1 comment. Post by Nathan Smith, August 18, 2014, linking to The Immigration Middle Ground by Yuval Levin and Reihan Salam, August 14, 2014. 3 likes, 4 comments. Post by Brandon Reinhart, August 18, 2014, linking to What Happens When 911 Callers Don’t Speak English? by Tom Banse, Kuow.org, August 18, 2014. 2 likes. Post by John Lee, August 19, 2014, linking to In Honduras, U.S. deportees seek to journey north again by Cindy Carcamo, Los Angeles Times, August 16, 2014. 4 likes, 1 comment. Post by John Lee, August 19, 2014, linking to “To Be a Man Here, You Have to Go to the United States.” The real origins of the Central American refugee problem are economic. So is the solution. by Daniel Reichman, Politico, August 18, 2014. 6 likes. Post by John Lee, August 19, 2014, linking to When Fleeing War Becomes Illegal: Palestinians escaping Syria are being turned away by neighboring states by Alice Su, The Atlantic, August 19, 2014. 2 likes. Post by John Lee, August 20, 2014, linking to North African Migrants Are Dying in Droves on the Mediterranean by Sam Kimball, Vice, August 20, 2014. Post by Tiago Santos, August 22, 2014, noting that Brazil is working on a bill which would allow potential migrants to ask for a work visa even without a job offer. They would have one year to find a job in Brazil. The post links to the text of the bill in Portuguese. 12 likes, 2 comments. Post by John Lee, August 22, 2014, linking to Letter From the Border: New Crisis is the Old Crisis by Natasha Vargas-Cooper, The Intercept, August 22, 2014. 3 likes. Post by John Lee linking to Afro-Chinese marriages boom in Guangzhou: but will it be ’til death do us part’? Guangzhou is witnessing many Afro-Chinese marriages, but the mainland’s lack of citizenship rights for husbands and a crackdown on foreign visas means families live in fear of being torn apart by Jenni Marsh, funded by the China-Africa Reporting Project and published by the South China Morning Post Magazine section. 4 likes. Post by John Lee, August 23, 2014, linking to Ebola has infected public discourse with a new xenophobia by Lola Okolosie, The Guardian, August 4, 2014. Post by Vipul Naik, August 23, 2014, linking to Ousted chief accuses border agency of shooting cover-ups, corruption by Andrew Becker, the center for investigative reporting, August 24, 2014. Post by Lars Christensen, August 12, 2014, about a guest post on the global economic impact of open borders by Nathan Smith, August 12, 2014, on Christensen’s blog, The Market Monetarist. 7 likes, 1 comment. Post by Nathan Smith about the same guest post. 4 likes. Hypothesis explaining the importance people attach to the legal/illegal distinction by Vipul Naik, August 11, 2014. 3 likes, 11 comments. Post by Vipul Naik, August 12, 2014, linking to Open Borders Bingo! by Art Carden, August 12, 2014. 4 likes. Post by John Lee, August 12, 2014, on a different approach to measuring the historical prevalence of the term “illegal” for immigrants, linking to the NYT Chronicle search term. 3 likes, 4 comments. Post by Vipul Naik, August 14, 2014, linking to Pinterest search results for open borders. 15 comments. Post by Michelangelo Landgrave, August 14, 2014, asking whether natives and foreigners have different elasticities with respect to the quality of government. 1 like, 3 comments. Post by John Lee, August 14, 2014, linking to The data on white anxiety over Hispanic immigration. What drives American views on immigration is often not pretty by Scott Clement, The Washington Post, August 14, 2014. Post by Bryan Pick, August 14, 2014, noting the other side of the political externalities coin: when political institutions fail to adapt to a changing populace, and linking to Change and chaos in Ferguson by Megan McArdle, August 14, 2014, Bloomberg View. Post by Vipul Naik, August 15, 2014, asking for people’s thoughts on pro-immigrant arguments that rely on immigrants being fiscally beneficial. Links, as an example, to Immigrants, Both Documented and Undocumented, Are Helping Save Medicare and Social Security by Matthew Kolodziej, Immigration Impact, August 15, 2014. 1 like, 6 comments. Post by Vipul Naik, August 16, 2014, linking to Balaji Vishwanathan’s answer to “How feasible is a world without borders?” 5 likes, 2 comments. Post by John Lee, August 12, 2014, linking to Boris Johnson: Britain will be great and glorious outside the EU. Britain has “nothing to fear” from life outside the European Union if renegotiation fails, Mayor of London says, as he swipes at Cameron’s missed migration targets by Matthew Holehouse, The Telegraph, August 5, 2014. 8 likes, 2 comments. 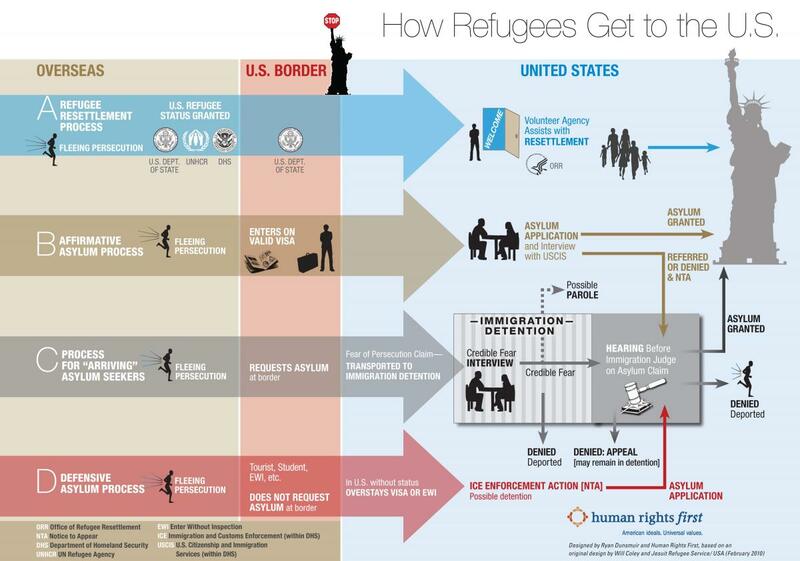 Post by Michelangelo Landgrave, August 12, 2014, linking to an infographic on the system for asylees/refugees to the US. 2 likes. Post by Lars Christensen, August 15, 2014, linking to Sweet FA: Why foreign player crackdowns hurt English football by Ben Southwood, the Adam Smith Institute. 4 likes, 1 comment, including a link to Christensen’s blog post about the paper. Post by Ben Smith, August 17, 2014, linking to One dead as dozens found in UK container, Al Jazeera English, August 17, 2014. 2 likes. Post by Ladan Weheliye, August 16, 2014, linking to Mapping Migration in the United States, the New York Times, August 15, 2014. Post by John Lee, August 17, 2014, linking to Why Is Nepal Cracking Down on Tibetan Refugees? by Jon Krakauer, The New Yorker, December 28, 2011. 3 likes. Post by John Lee, August 17, 2014, linking to Undocumented Children Fuel New Tension on Immigration in Virginia. Stress on schools, social services is making city of Manassas a battleground once again by Sasha Ingber, National Geographic, August 14, 2014. 1 like, 12 comments. Do you think there are people who might be interested in contributing to or participating in the Open Borders Action Group, but are concerned about publicly associating themselves with “open borders action”? What might be done to address their concern? by Vipul Naik, August 10, 2014. 3 likes, 6 comments. Post by John Lee, August 15, 2014, linking to Q&A on the crisis at the border, part II with Lis Wiehl, where Lee describes why he believes in open borders and addresses some other questions related to the current child migrant situation faced by the United States. 5 likes, 5 comments. Post by Vipul Naik, August 17, 2014, with the proceedings of the Open Borders meetup on Saturday August 16, 2014, in the San Francisco Bay Area. 15 likes, 3 comments. The draft of my paper “The Global Economic Impact of Open Borders” already feels a bit obsolete after some great real-time peer review and the rethinking it has been provoking me to do. Sometime soon (I hope) I’ll do a rewrite, but it’s already reshaped my thinking about what a world of open borders is likely to look like. I thought a Q&A format might be a good way to explain my methods, highlight some key predictions, and give voice to some of the skepticism readers are likely to feel, responding to it with a mix of rebuttal and concession. “Q” represents my impression of an intrigued, but sometimes confused or skeptical, reader. “A” is me in my role as author of the paper. A: Basically, yes. “Double world GDP” was always a kind of very rough midpoint of disparate projections. I present two scenarios, with Scenario 1 predicting an 80% increase in world GDP, and Scenario 2 predicting a 69% increase in world GDP. That’s less than doubling, but it’s in the ballpark. Q: How many people would migrate? A: Very many. Scenario 1 predicts well over 5 billion, Scenario 2, a little over 3 billion. This is one of the respects in which I think Scenario 2 is more realistic. By this account, international mobility under open borders would actually be similar to current levels of mobility among US states. That might sound odd, since, policy aside, the cultural and linguistic barriers to international migration are obviously much larger than for migration among US states. But the economic incentives for international migration are also larger. Wages and the general level of economic development differ far more among nations than across US states. Q: Would open borders end world poverty? A: That’s a little complicated because “poverty” is not well-defined. Have we ended poverty in the USA? Probably almost any American would say no. A development economist might be tempted to say yes, because even Americans below the “poverty line” tend to have plenty to eat, electricity, shoes, indoor plumbing, and all sorts of other things that would be luxuries in sub-Saharan Africa. Granted, people in homeless shelters may not have even that, but (a) they’re a tiny proportion of the population, and (b) since other factors like mental illness or substance abuse, or mere lifestyle choice, often account for homelessness, it’s not clear that “poverty” is the right diagnosis of the problem. Still, it would be too odd to claim that poverty has been eliminated in rich countries, and the lesson one learns in being forced to concede that is that poverty isn’t just a matter of not having enough money or material resources. It’s partly a matter of relative living standards, of social status, of character and mentality. So, I would not really want to claim that open borders would end poverty. I would almost want to say it would eliminate “world poverty” but not “poverty” because when we say “world poverty” we mean something more extreme than when we say “poverty”… but that seems like verbal hair-splitting. Let’s say that open borders seems likely to eliminate, or at least to render rare to the point of negligible, the kind of extreme poverty that development economists usually have in mind when they talk about poverty, e.g., in Paul Collier’s book The Bottom Billion. Under my “Scenario 2,” the living standards of unskilled workers would converge to 44% of the current US level. If by “poverty” we mean $1/day or $2/day, that’s pretty much the end of world poverty. Q: What’s the deal with “sigma?” Does the model really assume that unskilled workers have to be paid 1,000 times more to live in a big metropolis, compared to a small village? Is that plausible? At present, I need the unrealistic assumption of a high “sigma” in order to avoid imputing highly compressed distributions of local TFP to settlements in rich countries. Highly compressed distributions of local TFP within countries, mean small overlaps of local TFP distributions across countries, leading to extremely high total migration under open borders. By making “sigma” more realistic, I would make the model’s other predictions wildly unrealistic. Doesn’t that show that there’s something wrong with the model? Well, yes… but, what’s the alternative? Build a better model? Easier said than done. Just guess, without a model. No thanks, I prefer a flawed model (used with good judgment) to mere verbal hand-waving. That said, I’m working on changes that will hopefully eliminate the need for an implausibly high “sigma.” Currently, the model has two extreme assumptions about how population density affects the cost of living. On the one hand, the elasticity of the raw wage with respect to settlement size (i.e., sigma) is 0.6. On the other hand, the elasticity of the human capital premium with respect to settlement size is zero. These assumptions are unrealistic in opposite directions, and may even cancel each other out in some respects, but it would be better if both the raw wage and the human capital premium were higher in cities. The elasticity of the human capital premium with respect to settlement size probably should be lower than the elasticity of the raw wage, since a lot of what cities have to offer, over and above what the countryside can, is of a luxury character (e.g., fancy restaurants) and/or more enjoyable to people with high human capital (e.g., museums). But it makes sense that lawyers and doctors should want to spend some of their extra earnings on backyards, not just on manufactured goods or foreign vacations or fine wines. The question is: will the math still work? It’s almost impossible for laymen to understand this aspect of the alchemy of economic modeling. A non-economist, or even a well-trained economist, will suggest a plausible modification, seemingly simple and realistic, and the modeler stubbornly refuses to incorporate it. Little does the friendly critic know that his tweak breaks the solvability of the model. The difference between being able to solve for equilibrium, and not being able to, is like the difference between gliding along a bike path and hacking one’s way through the forest. Solvable means you can derive nice elasticities, and see how your variables and parameters are affecting your results. Not solvable means exorbitant computations to check any tweak of a parameter or a variable, and causation is still opaque. But, I’ve started to work through this, and I think the math will work. So, in the next version of this paper, I may be able to dispense with the need for a high “sigma,” and the weird assumption about unskilled workers earning 1,000 times more in the big city than in the village. If not, I’m not above publishing a model that has a few giants painting the sky blue, if it enables me to perform mighty feats of plausible extrapolation. Q: What’s the deal with these “new settler societies?” Are they just data artifacts? A: “Scenario 1” makes some odd predictions to which I give the appealing name “new settler societies.” Thus, East Timor ends up with 478 million people (from just over 1 million), Botswana with 212 million (from a little over 2 million), and Swaziland with 138 million (from a little over 1 million). Under “Scenario 2,” the phenomenon is much less dramatic, but it’s still there. East Timor’s population soars to 43 million, Botswana’s to 36 million, and Swaziland’s to 35 million. I classify Qatar differently, but it would also see a surge in population, to 391 million. Doubtless, these results are partly artifactual, and specifically, they reflect anomalously high “TFP” that is really just natural resource extraction, not extensible over a greatly increased population. I need better ways to quantify natural resource extraction and subtract it from GDP. (Currently, I have patchy data about oil exports, which I deduct from GDP, but I need a more refined and comprehensive approach.) It’s possible that if I had better data on non-natural-resource-extraction GDP, the “new settler societies” would disappear. Then again, a lot of resource-rich places didn’t show anomalously high TFP. My tentative guess is that the specific “new settler societies” that show up in my predictions are largely artifactual, but that there would be such a phenomenon as new settler societies under open borders. In certain places, a happy combination of natural and political circumstances would give rise to a fashionable migrant mecca, and a cosmopolitan settler community, self-selected to prefer the kind of society chance and circumstance had thrown up, would reinforce it. A virtuous cycle would ensue, and soon, some spot hardly anyone has heard of would be an admired and thriving city, with suburbs spreading out and skyscrapers surging up. And without claiming the site is specially probable, I see no harm in imagining the place to be East Timor, with lots of coastline, a tropical climate, and mountains. Why shouldn’t a flood of Chinese and Indians settle there, and found a string of Singapores? Q: And meanwhile, there would be quite a few “ghost nations?” Sounds spooky. Yes, it sort of does. This is one of the predictions of Scenario 1 that goes away in Scenario 2. Still, it has a certain logic to it. Why would anyone live in a place like Zimbabwe, Afghanistan, the Democratic Republic of the Congo, or Burma, unless they had to? According to Scenario 1, almost no one would. There would be a nearly universal exodus, leaving behind only a few half-mad beggars wandering among the deserted shantytowns. According to Scenario 2, there are no ghost nations. The worst-off places would see a major exodus, but at some point they would be “rescued” by their diasporas. I think this is more likely. Large diasporas could undermine bad regimes and foster better ones. Some would return with skills and/or savings, start businesses, run for office, teach school. Migration would plug these countries in to world civilization, and they would change. Q: But anyway, wouldn’t the governments of these countries restrict emigration, if they were on their way to becoming ghost nations? Maybe, but the game is to predict what would happen if migration restrictions were abolished. So that’s ruled out by assumption. Scenario 1 applies the model in a straightforward and literal way. The result is that the tail of TFP ends up wagging the dog of global migration. TFP, or “total factor productivity,” is a kind of residual or “pure place premium.” TFP is the differences in GDP per capita that can’t be explained by other systematically observable and quantifiable variables. Now, I actually argue that “factor endowments” can do most of the work in explaining GDP per capita, leaving a relatively small explanatory burden for TFP. I see the wealth of nations as arising mostly from (a) large international differences in average human capital and (b) substantial country risk premia affecting the risk of investment capital, with TFP varying across countries much less than average human capital. Still, under open borders, because everything else is mobile, a little bit of TFP can move a lot of people. Hence the new settler societies mentioned above. For Scenario 2, I (a) assume that open borders promotes human capital development, with the average native of each country closing 20% of the human capital gap with the US; (b) assume that open borders facilitates international capital flows, cutting in half the risk premia faced by many countries; and (c) adjust TFP downward in receiving countries, so that it shifts in the direction of the TFP of source countries, and adjust TFP upward in sending countries, so that it shifts in the direction of the destination countries. Migrants affect TFP both where they come from, and where they go to, albeit with one-fifth the weight of non-migrants in each case, reflecting the greater influence on institutions of those who stay put. All these modifications are very plausible qualitatively, but theory and evidence don’t pin down how they should be quantitatively implemented. Still, for the moment, Scenario 2 represents my “best guess” about what a world with open borders would “really” look like, partly just because the TFP adjustment mechanism reduces the probably distorting effect of apparent high TFP outliers. I could generate many more of these “scenarios.” Scenario 1 is to some extent unique, representing “the” result of global market clearing in the labor market, albeit I had some discretion in how to describe the status quo. But for Scenario 2, I had plenty of room to choose the rules differently. In future drafts, I plan to have more “robustness checks” showing how results depend on how some of these discretionary elements are chosen. Q: Would rich countries by “swamped” by immigrants under open borders? What do you mean by “swamped?” In Scenario 2, the population of the West (the EU and the Anglosphere) rises from 872 million to over 3 billion. But assimilation would still mostly prevail, at least as far as TFP indicates. Revolutionary English stock a small proportion of the current US population? If the answer is “no, because those immigrants assimilated and didn’t fundamentally alter American society,” then that answer may apply to open borders, too. There isn’t a formal theory of institutions undergirding these results, however, and if you think 3 billion people in the West would lead to complete societal collapse, this paper doesn’t refute that, it just starts with more optimistic assumptions. I don’t find predictions of 3 billion people living in the West either surprising or alarming. Life is good here. Why shouldn’t almost half the human race want to come? Admittedly, international polls show much lower demand for migration than my model, or, say, John Kennan’s, predict. But that’s just diaspora dynamics. 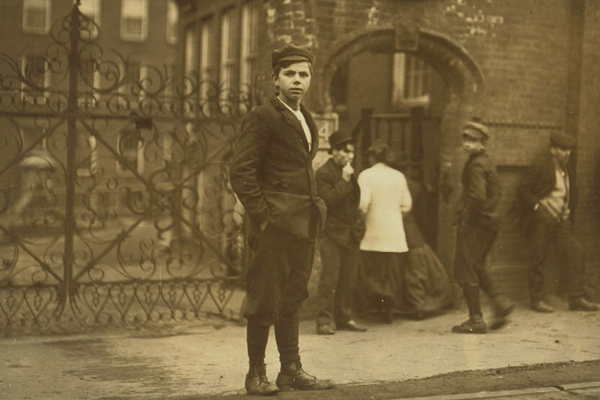 Migration would snowball as early migrants wrote home that the grass really was greener on the other side. Q: Scenario 2 predicts huge gains in labor income for people in many poor countries? How exactly would that happen? Open borders would enrich the world’s poorest in several different ways. First, many would move to more productive places. Second, open borders would increase both the incentive and the opportunity for people from poor countries to acquire human capital. Since unskilled workers are far more likely than skilled ones to be stuck in unproductive places under the status quo, open borders would increase the effective global supply of raw labor, relative to the effective supply of human capital. Human capital would become relatively scarcer and see its marginal product rise, giving people an incentive to study. At the same time, higher wages would give poor people more money to invest in their children’s education. And the experience of migration itself– permanent or temporary– would broaden the horizons of many and make them smarter and more modern. And people would get access to better schools in the West. Third, the poorest countries would benefit from having large diasporas abroad, becoming acquainted with better ways of doing things practiced in the rich world. Fourth, remittances from abroad would finance capital formation. Fifth, in some countries it would be important that emigration would raise the per capita value of extractible natural resources. People in the world’s most benighted countries would mostly improve their lot in life by moving abroad. In less desperate cases, such as India and China, around half the population would emigrate, but life would improve a lot for those who stayed behind, as well as for emigrants. Q: Would Americans really see their incomes fall by 10% under open borders? Why? Well, real estate would appreciate in value dramatically, so homeowners would see their net worth rise, and maybe their dollar incomes, too, if they went into business as landlords. There would also be a lot more capital in the world, so to the extent that Americans own a substantial share of that, that might also offset a drop in labor incomes. Finally, the US government would enjoy a much larger tax base, so depending on what it did with that, it might contribute something to natives’ disposable income through transfers and/or tax cuts. Also, I’ve left out of account the effect of open borders on technological change, but there are all sorts of reasons to expect open borders to accelerate that, which would bend all the model’s predictions in an appealing direction. But yes, under Scenario 2, the average labor income of US natives would fall by 10%. And this applies across the human capital spectrum. Unskilled workers would see their living standards (not money wages though) fall to 44% of the current level. But, surprisingly, the human capital premium would fall, too, because the US would be such a magnet for human capital that average human capital would rise in the US. If the only effect of open borders were to increase population while keeping average human capital the same, money incomes would stay the same, though living standards would fall somewhat due to congestion disutilities. What causes a loss of labor income for Americans is that TFP falls under Scenario 2. It is somewhat more pessimistic. In that post, I drew two land supply curves, one for existing urban land, one for new urban land. I treated the supply of existing urban land as perfectly inelastic, and the supply of new urban land as perfectly elastic. I treated these as separate markets, on the ground that what one is really paying for in urban land is precisely proximity to other people and centrality of location, so as urban centers grow, new urban land developed at the edges will have the same value as urban land at the edges previously had, but previously developed land closer to the city center will appreciate as the city population grows. In that model, there are no congestion disutilities, and no inherent scarcity of land as such. In “The Global Economic Impact of Open Borders,” a scarcity of good city sites is a fundamental and important feature of the world. Consequently, mass immigration to the USA would reduce the living standards afforded by a given money income, due to congestion disutilities. In “The Great Land Value Windfall from Open Borders,” mass immigration would not reduce the living standard afforded by a given money income, because newly developed urban land at the margins of cities would be just as good as the formerly marginal land was. The difference between these models is not really accounted for by any change in my views of how the world works. It is simply that different assumptions proved analytically convenient for different purposes. Q: This model pertains to universal open borders, right? What if open borders were implemented by just one country, say, the USA? Yes, this model is for universal open borders. I don’t know what would happen if just the USA did it. I’d need to make fundamental changes to the model to answer that question. The paper contains no estimates of how much revenue could be raised by migration taxes, or how a world of open borders would change if governments sought to hold natives harmless through tax-and-transfer schemes. Q: Do you think this paper should persuade policymakers to adopt open borders policies? Yes and no. Yes, I think that if my predictions are right, or in the ballpark of right, they would be a very strong reason for benevolent policymakers to open the world’s borders to migration. But no, I of course don’t think it would be sensible for any policymaker to adopt such a radical policy on the basis of such tentative and speculative predictions as my paper contains. Q: Why is there no literature review, no bibliography, and few citations in the paper? A: Because it’s just a draft. I like to have a good idea where I stand before I really plow into what others have said. Sometimes you don’t even know what’s relevant until you’ve done a lot of your own exploration. And compiling bibliographies is tedious work. But I have read a good deal, and am reading more, and future drafts will reflect that. Lately I have been avoiding the news as I fear catching a piece about the current unaccompanied children crisis. I like to think that over the years I have grown a thick skin when it comes to immigration news, but this recent event hits home hard. I was an unaccompanied child myself you see. I was born in Michoacan, not far geographically from the starting point for today’s unaccompanied children. Unlike contemporary unaccompanied children my journey took me a day while theirs takes much longer. I am a proper illegal alien – I asked no one for permission to enter. Today’s unaccompanied children aren’t illegal aliens – they’re asking for humanitarian migrant statuses. In the end of the day though these differences are superficial. We were both children at the border. I was two years old when I crossed over. I remember broad strokes of the incident, but most of the details come second hand. My parents did not accompany me, but I did have my eleven-month-old sister with me. Our journey began in my town of birth, Morelia. We flew to Tijauna, accompanied as far as we could be by my grandfather. At this point we had already flown across half a dozen sovereign state borders. As Mexican citizens though we had the recognized right to freely travel within the federation. Unfortunately the right to freely travel is not yet universally recognized. In Tijuana we met up with a smuggler who would get us through the US-Mexican border. My sister and I made the crossing by stowing away in a car. We had US passports prepared just in case but we never used them. The car we were in was waived in without inspection, we were lucky for that. When we were safely in California we were picked up by an Aunt and spent the next few weeks playing with our cousins. We were only unaccompanied for a few hours between being dropped off in Tijuana and being picked up on the other side. Nonetheless we could have been caught by border patrol, kidnapped by the smuggler who passed us through, or taken during any of the countless times when we were surrounded only by strangers. When people hear about young children crossing the border on their own there is an understandable level of skepticism. It is difficult to imagine allowing children unattended for more than a few minutes in the United States. Abroad the cultural norms are different though. Shortly after I had learned to crawl I regularly made cross town between my parent’s and grandparent’s homes, accompanied only by my pet dog. At any rate a journey across the US-Mexican border was little different in principle to my two year old self and I took a disinterested approach to it. I do wonder how my sister kept quiet throughout the journey though – did she think it was a game of hide and seek? Where were my parents during all of this? My mother was crossing the border on foot. My sister and I were young so it was relatively easy for us to pass through the safer path, but my mother had no such option. She had to jump over the border fence, crawl inside the sewers, and swim across the ocean. My mother had to do this several times before finally succeeding. What of my father? He was crossing illegally into Mexico. The details of his journey are so unbelievable that I have given up trying to put them into written word. During the current crisis some commentators have made a point to discuss how awful the parents of unaccompanied children are to allow their children to undergo such hardships alone. What these commentators fail to take into account is opportunity costs. My sister and I could have crossed over with our mother, but at the cost of having of going through the harder route with her. Likewise we could have stayed in Mexico but at the cost of my newborn sister. I was born into poverty. My parents tell me that they often had only enough money to feed me and they would go to sleep starving if I didn’t leave any leftovers. When my mother realized she was carrying a second child she desperately wanted to get rid of it. She could barely feed one child! She changed her mind when my sister was born, but she was not delusional to think things could continue as they were. If she was to keep both her children we needed to migrate to the US. We tried entering legally, but there was no viable legal route to do so. 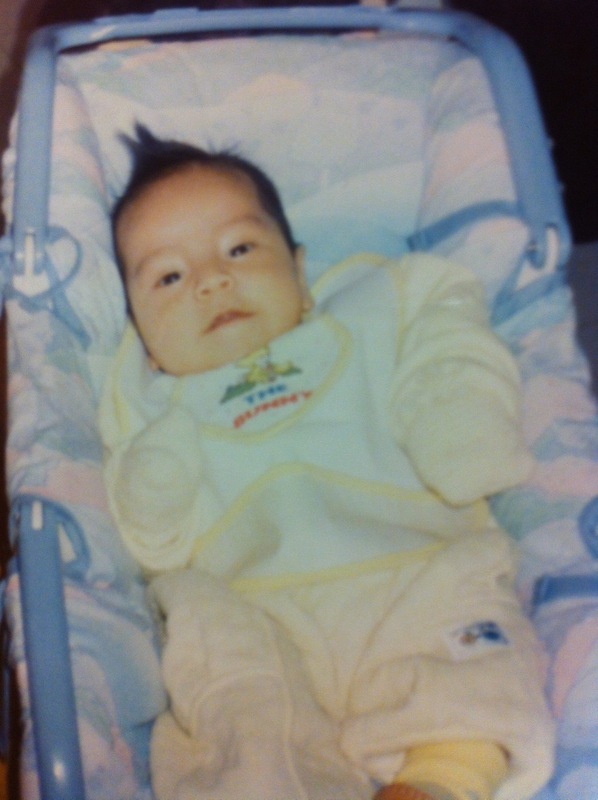 After making our separate ways into the country our family was reunited on March 3rd 1994, my sister’s first birthday. We settled down in Los Angeles and our lives have been largely uneventful since then. We tried self-deporting in the early 2000s, but Mexico did not recognize either myself or my sister as Mexicans since our names were not Hispanic. After two decades in California I am still an illegal alien, albeit I am a DACA recipient. For two decades I could have been deported at any moment. If I am truthful with myself though I have never been in danger of deportation, why would I be? Los Angeles is a sanctuary city for migrants. California in turn has made great strides to protect its migrant population with the passage of the TRUST Act and related legislation. The Obama Administration’s Deferred Action for Childhood Arrivals program has allowed me to travel across the US the past few years in relative safety. I have never lived in the shadows, although I have lived with restraints . In California proper I am little different from anyone else in legal rights, but this is only true in California. My primary school teachers all knew I was an illegal alien. My friends and neighbors know I am an illegal alien. I even told my friends in the college conservative club that I was an illegal alien; they had been planning to go to a shooting range as a club activity and I had to explain to them why I couldn’t attend. It goes without saying that I have told all my employers about my migrant status and included a note about the matter when I applied to graduate school. Why should I lie about who I am? I have done nothing wrong. I do not advocate open borders in the hope that it will lead to my being ‘allowed’ to stay. I have already migrated and lived in California for decades. I could have been deported countless times or ostracized, but instead I’ve been welcomed at each turn. No, I don’t advocate open borders for myself. I don’t even advocate open borders on behalf of other illegal aliens like me. If I advocate open borders for anyone it is that abstract concept known as ‘humanity’ which we are all part of me. I advocate open borders because it is both morally just and economically efficient. In 2013, the Dream 30 Fought to Come Home by David Bennion, Open Borders: The Case, December 30, 2013. Reparations are not a sound basis for making immigration policy by John Lee, Open Borders: The Case, August 6, 2014. I was an Unaccompanied Child is licensed by Michelangelo Landgrave under a Creative Commons Attribution 3.0 Unported License.